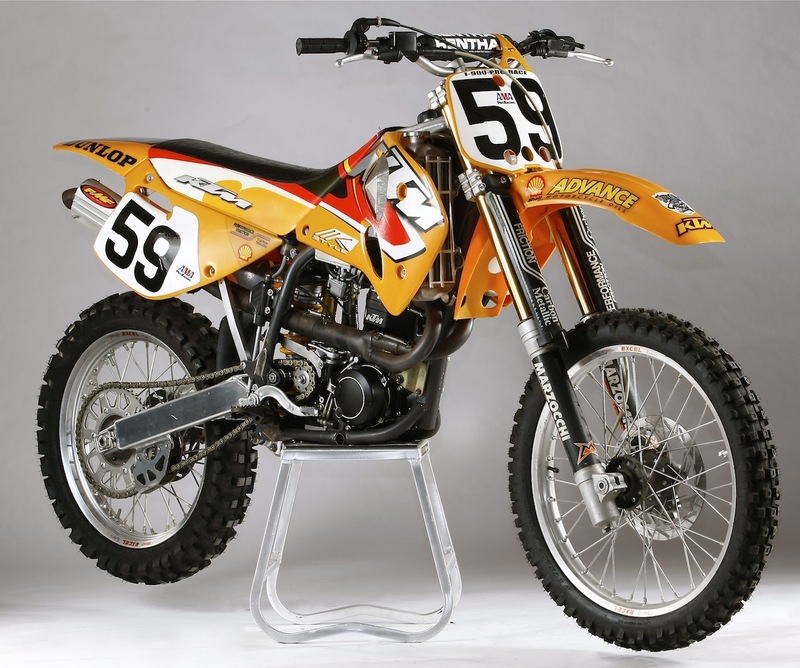 This hand-built KTM 540SX was the first four-stroke to make a Supercross main. Back in 1996, the rules of professional motocross changed so dramatically that the sport would never be the same. Under the guise of promoting four-stroke development, the AMA rewrote the “works bike” section of their rule book—which back in 1985 had banned factory works machinery from AMA races. However, to help the lowly four-stroke compete against two-strokes the AMA introduced the “Four-Stroke Exemption” rule. It allowed every manufacturer the right to race full works bikes, with two stipulations: (1) It had to be a four-stroke. (2) They could only race one bike for one season. Yamaha was the manufacturer that lobbied for the rule change at the AMA Advisoy Board late in 1996 and it was assumed that Yamaha would be the first of the Big Five to build a works four-stroke and race it. But Yamaha wasn’t first, while Doug Henry waited for the prototype YZ400 four-stroke to be finished, KTM’s Lance Smail was the darling of the Supercross crowds on his Tom Moen-built KTM 540SX works four-stroke. History is a little confused on the issue, but Lance Smail was the first four-stroke rider to make the main event of a modern Supercross when he qualified third out of the semi at the March 8, 1997, Daytona Supercross. Henry would not ride the Yamaha four-stroke until the final round of the 1997 Supercross series in Las Vegas. 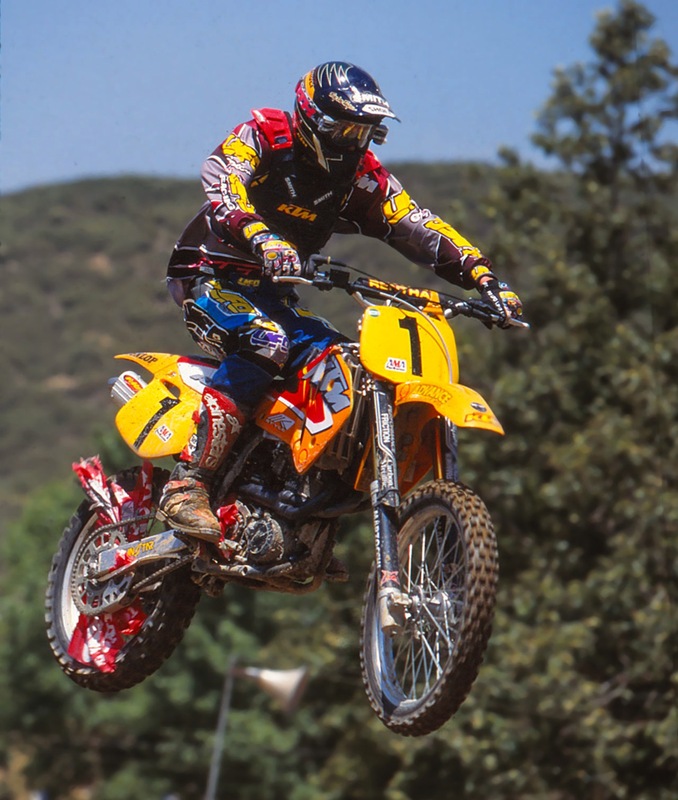 Although Smail was first four-stroke to qualify for a Supercross main, Doug Henry overshadowed that by becoming the first four-stroke to a win an AMA Supercross on May 17th of the same year. So, for the record, KTM was first to used the Four-Stroke Exemption rule with Lance Smail. Yamaha was second with Doug Henry. It wasn’t until 2001 that Ryan Hughes raced the works Honda CRF450 and 2005 before Sebastien Tortelli raced the Suzuki RM-Z450. (Suzuki applied for their one-year prototype exemption prior to the 2005 RM-Z450 production models being available and the rule does not require the manufacturer to stop racing the exempted bike when the production model goes on sale). Kawasaki and Husqvarna have never used their exemptions. In the pursuit of historical accuracy, MXA tracked down the first-ever four-stroke exemption bike. It has been ensconce away for the last 20 years by it’s builder KTM’s Tom Moen. We broke it out into the open and sat down with Tom to talk about one of the sport’s most iconic pieces of moto machinery. 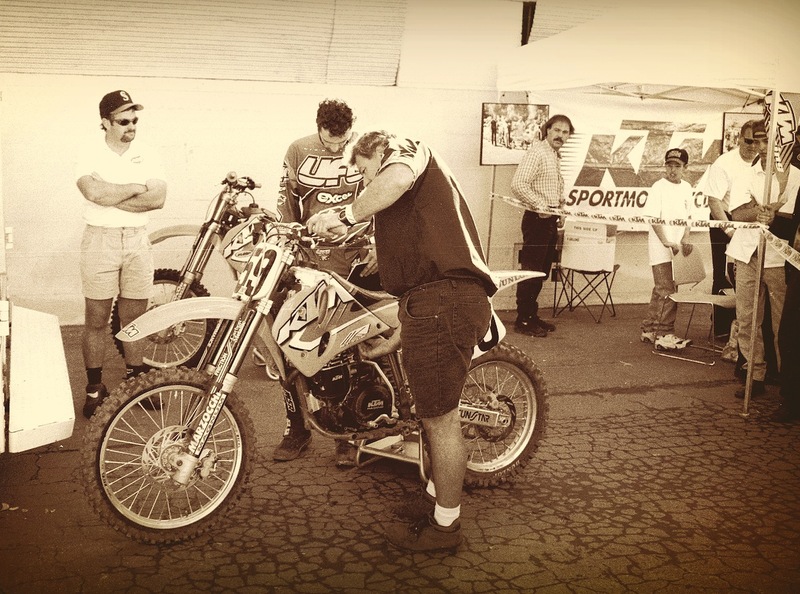 Tom Moen and Lance Smail push their one-off, hand-built four-stroke to AMA tech inspection in 1997. TOM, HOW DID THE KTM 540SX WORKS BIKE COME TO BE? 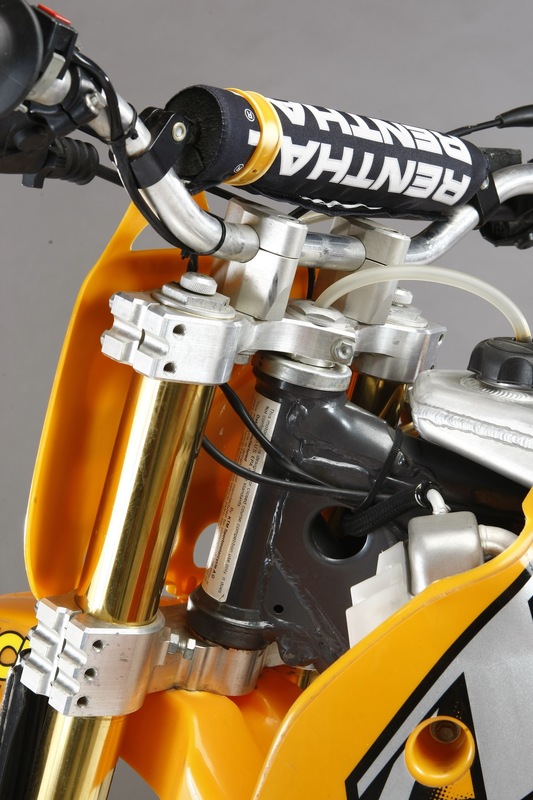 Back in late 1996, the AMA, at the request of Yamaha, passed the Four-Stroke Exemption rule. It stated that every manufacturers could race a full works four-stroke, of up to 550cc, for one season. The rule was written to encourage development of four-strokes. YAMAHA GETS ALL OF THE CREDIT, BUT KTM WAS THE FIRST TO USE THE RULE. We knew that Yamaha was coming out with something in 1997. It was obvious to me because every time we pushed Lance Smail’s works four-stroke through tech inspection, Japanese engineers would come out of the woodwork to shoot photos of it. When the season started, we expected Doug Henry to show up on whatever Yamaha had up its sleeve, but instead he raced a Yamaha YZ250 two-stroke for most of the season. Yamaha didn’t break out the YZ400 prototype until the final Supercross of the year in Las Vegas. HOW DID LANCE SMAIL’S FOUR-STROKE GET GREEN LIGHTED? When the Four-Stroke Exemption rule was passed, Stefan Peirer had just bought Husaberg. The business plan at the time was for KTM to use their four-strokes as offroad bikes and Husaberg to take the lead in motocross development. Rod Bush, who was the President of KTM USA, didn’t like the idea of his beloved KTM taking a back seat to Husaberg. Rod wanted to prove that KTM could build a race-ready four-stroke and the best way to do that was the race at the highest level in the AMA Supercross series. SO, ROD WENT AGAINST KTM MANAGEMENT TO GET THE BIKE MADE? Yes, and Rod deserves a lot of credit because his move was the first step to KTM’s current line of 250SXF, 350SXF and 450 SXF four-strokes. Rod gave me the budget to build three one-off four-strokes for Lance Smail to race in the 1997 Supercross series. AT THE TIME NO ONE THOUGHT THAT A FOUR-STROKE COULD COMPETE AGAINST A TWO-STROKE. WHAT WAS ROD’S GOAL? Rod was realistic. He said that he would be happy if we made the night program and raced in the heats and semis. But as the season progress Lance got close to qualifying at the first three rounds, so we upped our target to making the main event. We wanted to be the first four-stroke to ever race an AMA Supercross final. 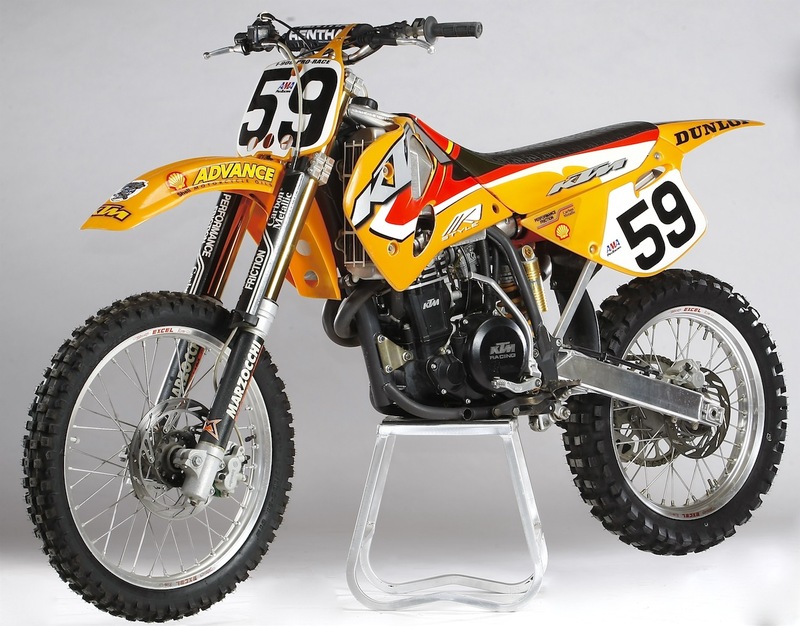 Once the AMA’s four-stroke exemption was used up in 1997, Lance could no longer race the 540SX in AMA races. He switched to four-stroke races on the KTM, before management thought he would do them more good on a Husaberg. WHAT WAS THAT 1997 SEASON LIKE FOR YOU AND LANCE? It was amazing! I would be standing in the mechanics area and hear the crowd go crazy. I thought that someone had crashed, but they were cheering for the booming sound of Lance’s four-stroke. Every time he did the triple, they went into a frenzy. Lance and I were stunned by the reception. In fact, at the Los Angles Coliseum, the crowd cheered so long and loud for Lance after his heat race that he stopped in the tunnel and waved to the crowd while they cheered for him for three minutes. For a two-man team it was the best feeling. WAS IT BETTER THAN MAKING THE DAYTONA MAIN EVENT? We had missed making the main by a couple spots in Los Angeles. In Houston it was the same thing. Then, in Seattle we were in qualifying position all the way until the last lap when Phil Lawrence passed Lance. Daytona gave the big four-stroke room to roam and Lance got seventh in the heat race (they took five) and then came back to finish third in his semi. We had achieved what Rod Bush asked us to do. We felt vindicated. DID ROD BUSH GET IN TROUBLE WITH KTM FOR FUNDING THE PROGRAM? No. Suddenly, thanks to the crowd’s response to the sound of a 105-decibel four-stroke and the fact that we had proved that a four-stroke could run with the two-strokes, KTM changed their business plan and decided to start R&D on race-ready production four-stroke motocross bikes. That bike came out in 200o when KTM introduced the RFS engine. DID DOUG HENRY’S VICTORY AT LAS VEGAS ON THE YZ400 TAKE THE WIND OUT OF YOUR SAILS? It depends how you look at it. I like to think that Lance proved that not only could a four-stroke be competitive, but that the fans in the stands appreciated what we were trying to achieve. When Doug Henry won in Vegas it reaffirmed what we already knew. Yes, it made the history of being the first to qualify moot, but not the viability of the four-stroke. Armed with a three-speed transmission and built on the 620 LC4 engine, sleeved down to accept a KTM 400cc piston, total displacement was 538cc (well within the AMA’s 550cc exemption limit). TELL US ABOUT THE BIKE. WHAT’S INSIDE THE ENGINE? 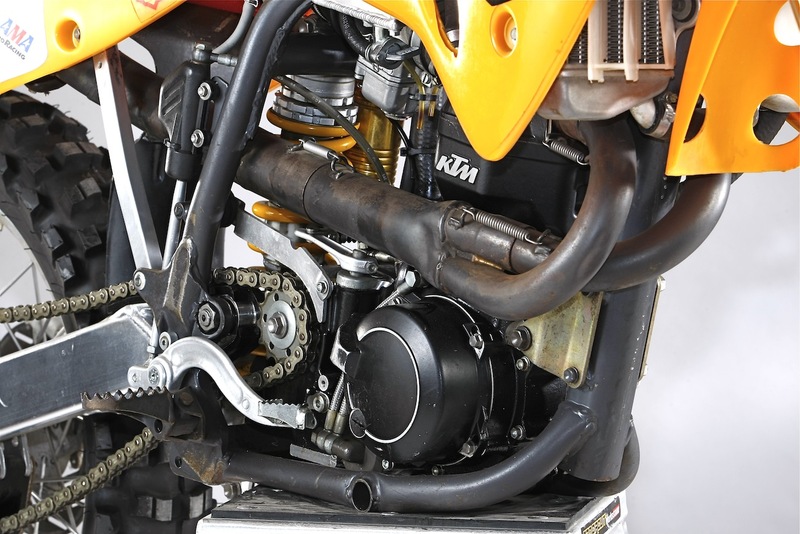 It is a 1997 KTM 620 LC4 engine, but it only shares the cases and the castings. I used a 620 crank with a 400 piston to get 538cc. The transmission was a three-speed. We kept second, third and fourth gears and moved neutral between second and third. Lance could never get the bike into neutral because we had ground down the detents to make it impossible for him to hit neutral on the track. The pipe was made by FMF and you will be surprised to find out that it is made out of mild steel—none of that fancy stainless steel or titanium back in 1997. IS THAT A DELLORTO CARB? Yes, but not the one that came stock on the 620. The 620 used a 40mm round-slide Dellorto with a brass slide. I replaced it with a 38mm flat-slide Dellorto from a Husaberg. The 38mm flat-slide carb weighed less than the brass slide on the stock carb. We hand-built a tapered velocity stack and tested it with a Filtron green weenie-style air filter. It worked so well that I never built an airbox. The filter never got dirty during a Supercross race. WHAT WAS YOUR MAIN GOAL IN BUILDING THE BIKE? My main goal was to lose weight on the 620. It weight 280 pounds in stock trim. I threw the four-stroke subframe, fenders, radiators wings, airbox and seat away and replaced them with modified KTM 250SX two-stroke parts. That alone saved 14 pounds. Once I had the plastic and frame cobbed up I sent the complete bike to Chuck Warren at Metal-Tek to have the aluminum gas tank made. It held just a hair over 1 gallon for Supercross (and we built a slightly larger tank for outdoor racing). The bike weighed 242 pounds thanks to every trick in the book. WERE THERE PROBLEMS WITH THE PROTOTYPE? Yes. Because of way we built the gas tank, air flow through the radiators was blocked. If Lance even stopped on the track to talk to me, the bike would start spewing water. Back in those days the highest pressure radiator cap we could get was a 1.2 psi. To help get more air into the radiators I went out to the back of the KTM shop and took some wood from a shipping crate and bolted it to the outer edge of the radiators to get the radiator shroud farther out into the breeze. Smail’s 540SX used an aluminum, tapered, velocity stack on the 40mm round-slide Dellorto carb and a Filtron green weenie-style air filter. WHAT ABOUT THE SUSPENSION? 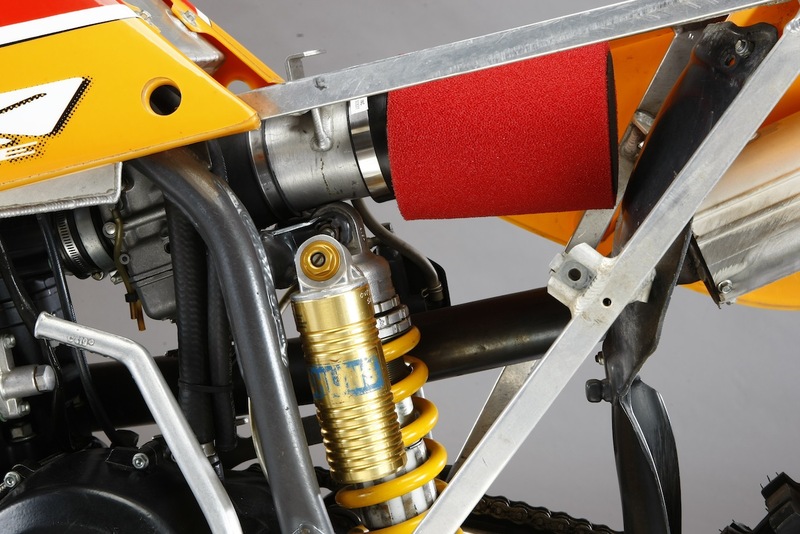 Back in 1995-96 and 97, KTM came with Ohlins shocks and Marzochhi forks. I stuck with the stock Ohlins shock, but used a 2mm longer shock linkage off of a KTM works two-stroke. The spring was a 6.3 kg/mm. 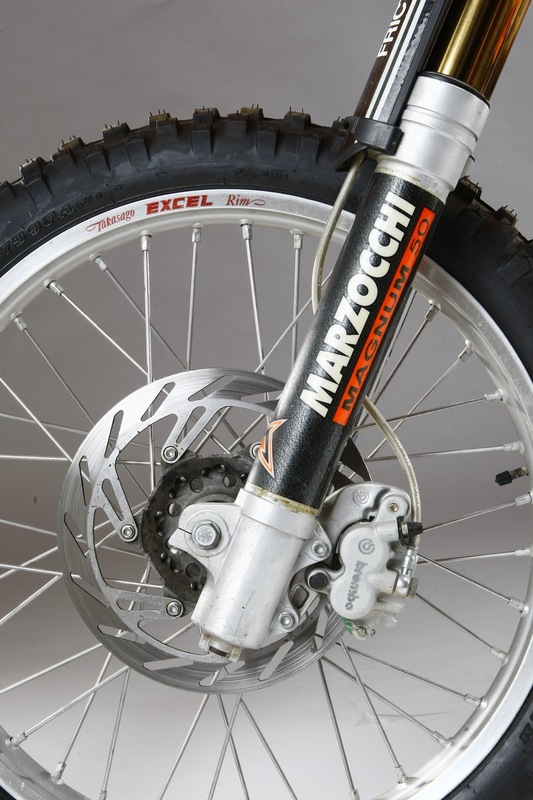 As for the forks, they are 50mm right-side-up Marzochhi works forks. 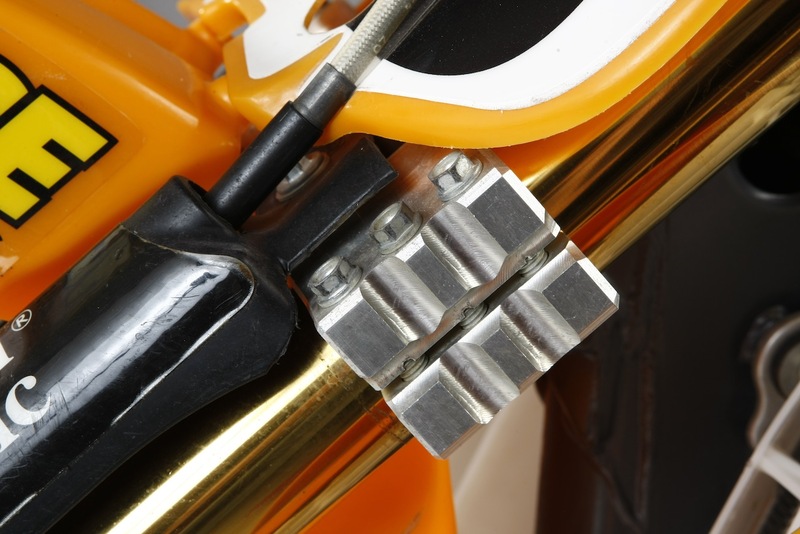 They are closed cartridge forks with billet fork legs, Applied triple clamps and the compression clicker on the bottom and rebound on top. The brake pedal and master cylinder were on the right side of the bike, as was the countershaft sprocket, but the rear brake rotor was on the left. ANYTHING ELSE UNUSUAL ABOUT LANCE’S BIKE? 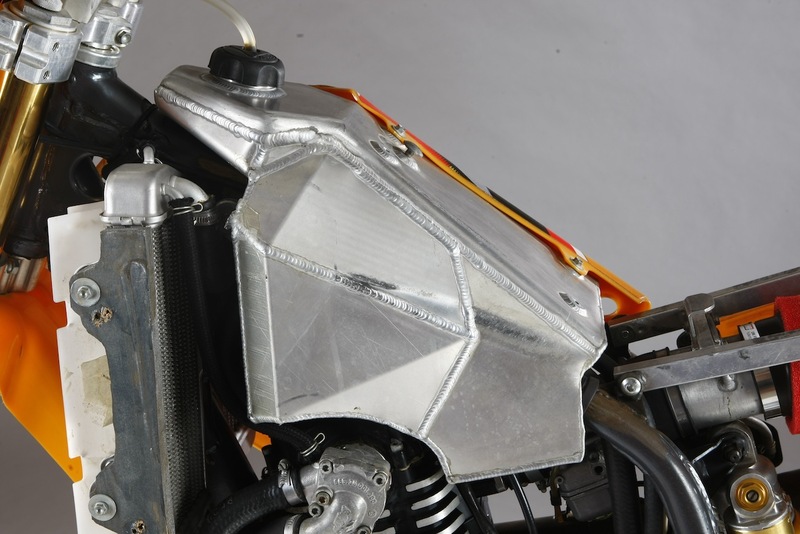 Compared to modern motorcycles the kickstarter is on the left side as are the rear brakes. Lance couldn’t start the bike, as four-strokes were very fickle back in 1997, so I started it for him every time. 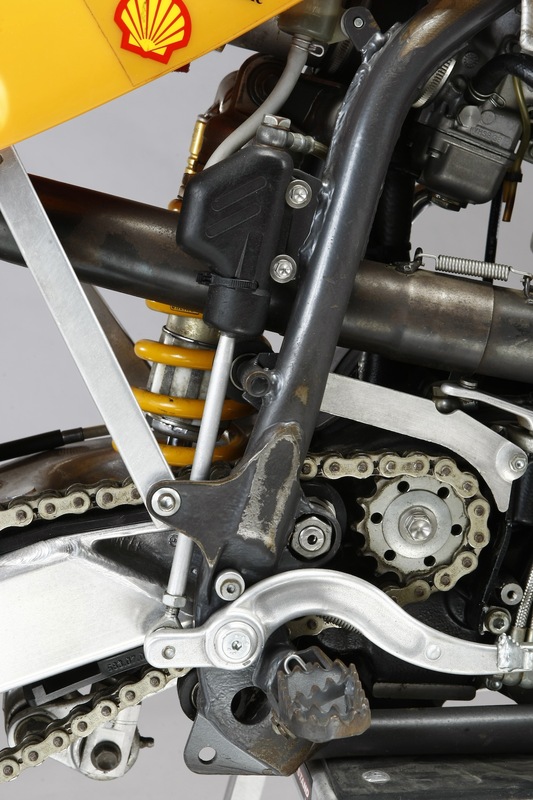 Additionally, the rear brake rotor is on the opposite side of the bike from the brake pedal, which required cross-over linkage. The hubs are machined by Talon out of block of billet magnesium. In order to help Lance shift I welded two spline sections of the shift lever together so that I could use a straight shift lever and still clear the cases. The butterscotch colored plastic was the first year that KTM used orange—it wasn’t nearly as attractive as the current orange. The forks were 50mm right-side-up Marzochhi works forks. They were closed cartridge forks with billet fork legs. Applied machined the three-bolt triple clamps. WHAT HAPPENED AFTER THE HISTORIC 1997 SUPERCROSS SEASON? We never raced the bike in an AMA race ever again. In 1998 Lance raced all of the four-stroke races and won most of them, but because Mike Young had gotten hurt early in the season, we moved Lance to Husaberg for the four-stroke events, although he raced a KTM 250SX two-stroke in the 1998 Supercross series. WHERE ARE THE THREE BIKES TODAY? I had built three identical bikes for the 1997 season. Once we had used up our Four-Stroke Exemption we couldn’t race the bikes anymore. In a gracious gesture Rod Bush gave Lance Smail one of the bikes, one to me and the third went back to Austria to be used as a test bike. Sadly, Lance’s bike was destroyed in a house fire and the one that went back to the factory was parted out. This one is the last one.